Apple expanded both its iPhone and iPad lines today with smaller and more affordable variants of those devices. 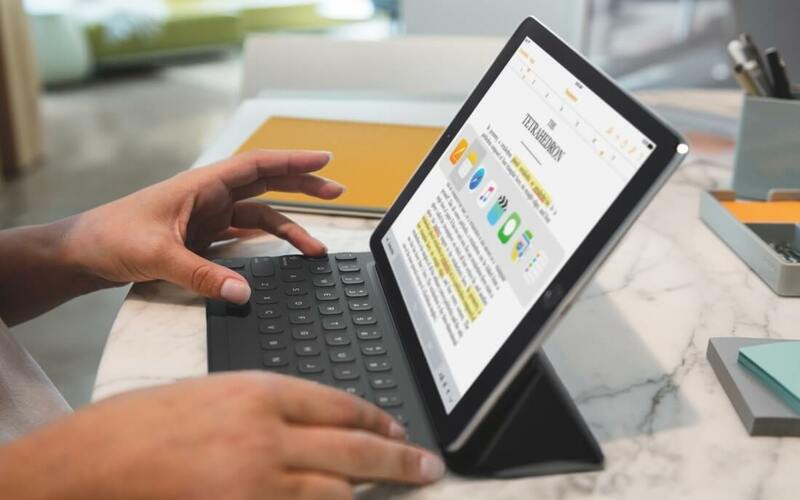 For the new iPad Pro, as widely anticipated, the company returned to the familiar 9.7-inch form factor with an improved screen that’s said to be 40% less reflective than the iPad Air 2 while also delivering 25% more brightness. Apple’s Phil Schiller also touted a new technology called True Tone display which can adjust the color temperature of the display to match the light in the room. Underneath the hood, the new iPad Pro packs much of the same internals as its 12.9 inch sibling, including an an A9x processor along with an integrated M9 motion coprocessor for ‘Hey Siri’ support, Apple Pencil support and Smart Connector for attaching the Apple Smart Keyboard -- which is sold separately for $149. One are where Apple did improve over the larger model is the camera. The 9.7 inch iPad Pro has a 12 megapixel rear camera, 4K video recording and a 5 megapixel front camera. The new, smaller iPad Pro comes in silver, gold, space gray, and rose gold, priced at $600 for 32GB and $750 for 128GB and a whopping 256GB for $900. Like the new iPhone SE, the new Pro will be available for pre-order on March 24 and will start shipping on March 31. With this the iPad lineup now has a total of four different models covering different starting price points from $269 for the iPad mini to $799 for the 12.9-inch iPad Pro.